Before I got to know the following recipe of quiche, I never did a quiche in my life. For me quiche was spinach and ricotta! And as much as I love shortcrust pastry, spinach and cheese, this COMBO wasn’t my favorite. There was something about this quiche that fascinated me. The addition of the fresh thyme made it fragrantly delicious. The blend of the creamy, crumbly Bulgarian Feta cheese with Mozzarella and Emmenthal made the flavor really kind of hard to describe. I couldn’t wait until I tried it. It sure earned me big smiles from my hubby and guests!! Ever since, I make more quiches in celebrations. It’s easy, delicious and a crowd pleaser! I stayed true to Eliane’s recipe, it takes no time to prepare and your friends will ask for the recipe! I did! Before you cook the crust as instructed here-below, compare it with the directions on the pack. 1. Preheat oven to 180°C. Roll out dough on floured surface to 32cm round. Transfer to 25 diameter tart pan. Press to form double-thick sides. Pierce crust all over with fork. 2. Crumble the Bulgarian cheese on the crust. Put fresh ground pepper and salt. 3. 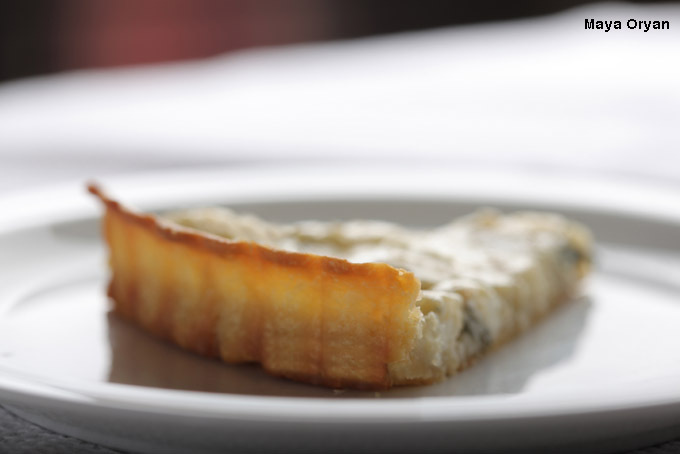 Arrange the fresh thyme over the white cheese, followed by the Emmenthal cheese and Mozzarella. 4. Pour the cream and sprinkle with sesame. 5. Place tart pan on oven rack. 6. Bake quiche until crust is golden about 30 minutes. Transfer quiche to rack; cool 10 minutes. 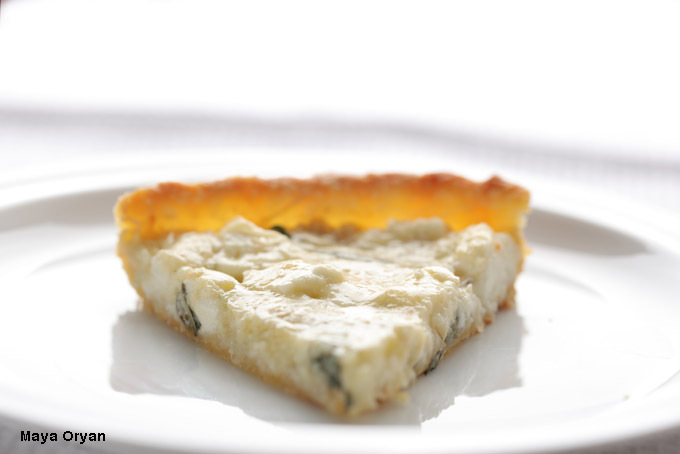 This entry was posted in Recipes and tagged bulgarian cheese, bulgarian cheese with thyme quiche, emmenthal cheese, food photography, Food Stylist, lebanese food blogger, Maya Oryan, mozzarella cheese, Quiche, tart by Maya Oryan. Bookmark the permalink. Well well well your charming sweet smart neighbor will be more then happy to have Kaia over for hundreds of play dates …. 🙂 and Yes lucky you I am here to stay 😛 …. Enjoy st trop!